In today’s business world everything has to be bigger, better and, most importantly, faster. People want to see results NOW, no matter how. What they often overlook, however, is that small, continuous changes can have a big impact in the end. There is always room for improvement, which is is exactly the idea that the Kaizen approach is trying to convey. The second part of this month’s blog series is all about improvement. It’s easy to fall for the prospect of quick and easy success. But often this kind of success does not last. “Rome wasn’t built in a day” –neither is success. If you want to grow a stable business you need to be patient – and have the right mindset. “Kaizen” is a Japanese word and literally means “good change” (kai = change, zen = good). Technically, it’s not really a tool, but more of a philosophy or mindset. Instead of making big changes that totally overturn the current status quo, Kaizen emphasizes the importance of small, continuous improvements. Kaizen also believes that everything can be improved, no matter how big or small. Big changes are often met with resistance from employees and thus face the risk of failing. It is better to start small and improve processes within the current system instead of completely overhauling it. This gives employees time to adjust and accept the change instead of being overwhelmed by it. Kaizen also helps foster progress. Because of its emphasis on constant improvement, leaders and employees are continuously working together towards creating even better products and services for their customers. All in all, Kaizen can contribute to higher customer and employee satisfaction and it can improve all three corners of the magic triangle. How can you Implement Kaizen into PM? Because Kaizen is not really a tool, but a mindset, it is very flexible. It can be implemented into methods such as Lean Management as well as Agile PM. PM as well as Kaizen is all about steps and stages. Each step contributes to the successful completion of the project. This is why implementing Kaizen into PM is not that difficult. The first step is to get into the right mindset. Start your work day with the intention of doing better. There is this very fitting saying: “It’s not about being the best. It’s about being better than you were yesterday.” With this goal in mind, you will be able to work more effectively. But Kaizen is not just about the individual, it’s something that the whole organization needs to embrace. Why? Because changes and improvements will directly affect everybody’s work. This is why the project leader needs to include the team in the decision making process. Otherwise they will risk that people resort to old, and less effective, methods. To see whether there was any improvement in the process of your project, you need to constantly track metrics. Compare the results to past ones and try to see if there are other ways to measure your project team’s performance. This is where Kaizen becomes ‘scientific’. It’s not just simply about pondering to do things better without a concrete plan. It’s about taking action with a clear plan in mind and having concrete results to back up the improvement measures you have taken. Documenting is one thing, but you also need to assess the results. While doing your daily tasks, try to identify where you could improve your performance and which tasks you could do more effectively. Have regular review meetings and get your team’s feedback and input on what processes are going well and where there’s room for improvement. If you want to improve, you also need to be open to new and creative ideas. Sometimes the reason why your performance stagnates is that your old way of doing things is just not working anymore. Remember that Kaizen is a team effort, so include your team when developing new ideas. Decide as a team which changes you would like to implement. Depending on how many ideas you come up with, you won’t be able to realize them all. Therefore, you should prioritize and choose which idea will have the most value for your process and your team. With these tips in mind, you can easily improve your processes and your team’s and your own productivity. Remember that you do not have to adhere to the status quo, no matter how well something is working, because “even perfection has room for improvement.” (Ty Warner). 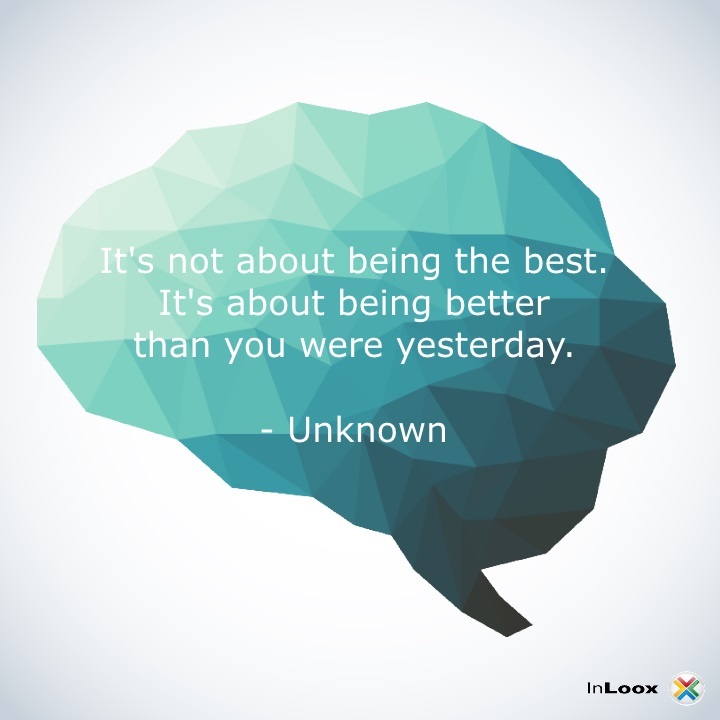 Kaizen – Get Better at Getting Better - InLoox • Copyright 1999-2019 © InLoox, Inc. All rights reserved.